Anita Rée (1885–1933), White Nut Trees (1922-25), oil on canvas, 71.2 x 80.3 cm, Hamburger Kunsthalle, Hamburg, Germany. Wikimedia Commons. I keep coming across artists, many of them women, who made wonderful paintings but today have been forgotten. One of the greatest problems is obtaining sufficient examples of their work, and enough biographic information, to assemble even a brief account. It is tragic, but we far too easily forget these artists, and focus too much of our attention on those who are best-known. Instead of the internet preserving our cultural heritage, it is all too often letting it slip away into oblivion. Anita Rée (1885–1933) is, thanks to the efforts of a small group of art historians in Germany, no longer in danger of joining the vanished. There is at the moment a major exhibition of her work at the Hamburger Kunsthalle (see below), the team of experts have produced a superb book about her life and art (on which I rely heavily), and there is a new catalogue raisoné nearing completion. In this and the next article, I hope to show you sufficient of Anita Rée’s paintings to convice you that she is a major artist of the early twentieth century, perhaps even to the point where you take a couple of days to see her work on display in Hamburg. Born Anita Clara Rée on 9 February 1885 in Hamburg, Germany, her father was a Jewish merchant who traded with India, and her mother came from Venezuela, and is presumed to have been Catholic. With her older sister, Emilie, Anita was baptised into the Protestant faith, and later confirmed. She showed an early aptitude for drawing and painting, and in 1904 started formal instruction in art with the Hamburg Impressionist painter Arthur Siebelist (1870-1945), who seems to have taught as much as possible en plein air. Between about 1906-09, Rée submitted examples of her work to Max Liebermann in Berlin – a contact made by Aby Warburg, the art historian, who seems to have been a family acquaintance. Her efforts to gain entry to a school in Berlin were unsuccessful (most did not admit women until after the First World War), and in about 1909 she left training and worked with other former pupils. Among her early influences were Paul Cézanne, and Auguste Renoir; she sent the latter a laudatory poem for his birthday in 1911. Anita Rée (1885–1933), Self-portrait (c 1911), oil on wood, 42 x 29.5 cm, Hamburger Kunsthalle, Hamburg, Germany. Wikimedia Commons. 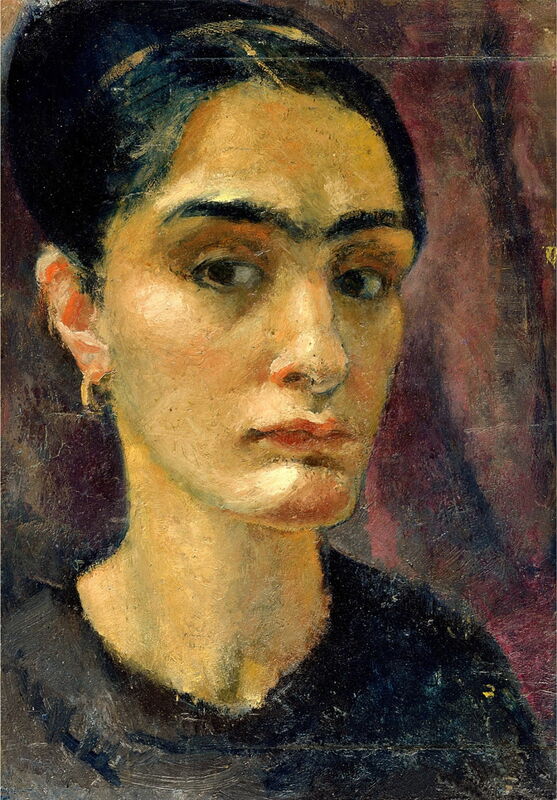 Her Self-portrait from about 1911 suggests reserve, with her brows knitted tensely. Note her dark (brown) eyes. At the end of 1912 until early 1913, Rée spent a period in Paris, where she made friends with the art historian Carl Einstein, and others. Later in 1913, her friend Franz Nölken submitted three of her paintings for exhibition in Hamburg, without her knowledge. They were accepted. 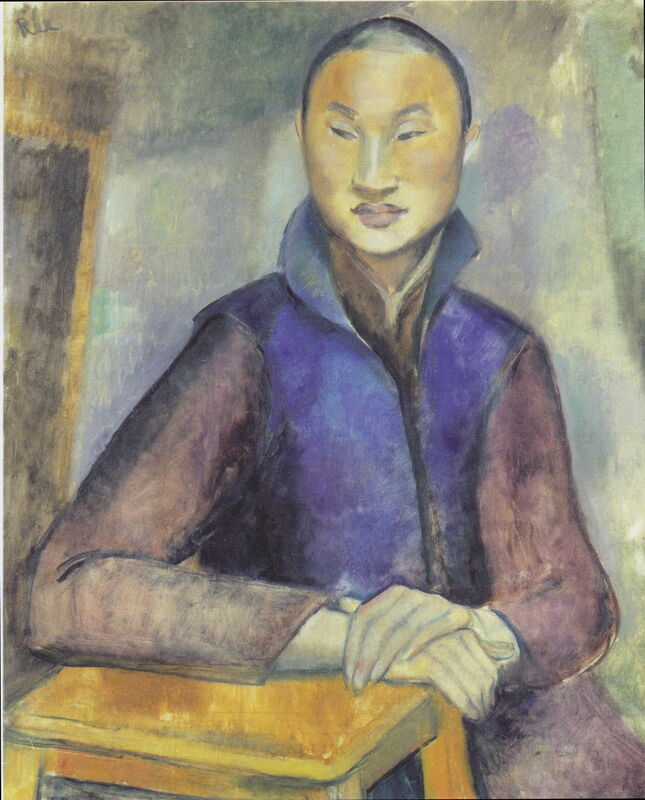 Anita Rée (1885–1933), Chinese Youth (c 1913), oil on canvas, 75.5 x 60.5 cm, Hamburger Kunsthalle, Hamburg, Germany. Wikimedia Commons. As one of the major international trading ports of Europe, Hamburg saw a rich range of people from all over the world. Some of these Rée painted, including this early portrait of a Chinese Youth (c 1913). In 1914, she made friends with Gustav Pauli, who became the director at the Hamburger Kunsthalle that year, and proved a lasting mentor and patron. Rée became influenced by Paula Modersohn-Becker, one of the members of the Worpswede artists’ colony, and another major figure in German painting at the time. Thanks to Gustav Pauli, Rée visited a major private collection of Impressionist and Post-Impressionist art in Bremen. In 1915, the first of Rée’s works were purchased by the Hamburger Kunsthalle, sales which continued until 1930. However, like most artists in Germany at the time, Rée suffered financially during the war. Her condition improved after 1917, when she met a patron, Luise Bohlen, and was able to take life drawing classes. In 1919, she joined the Hamburg Secession, for which she became exhibition director and served on its juries. 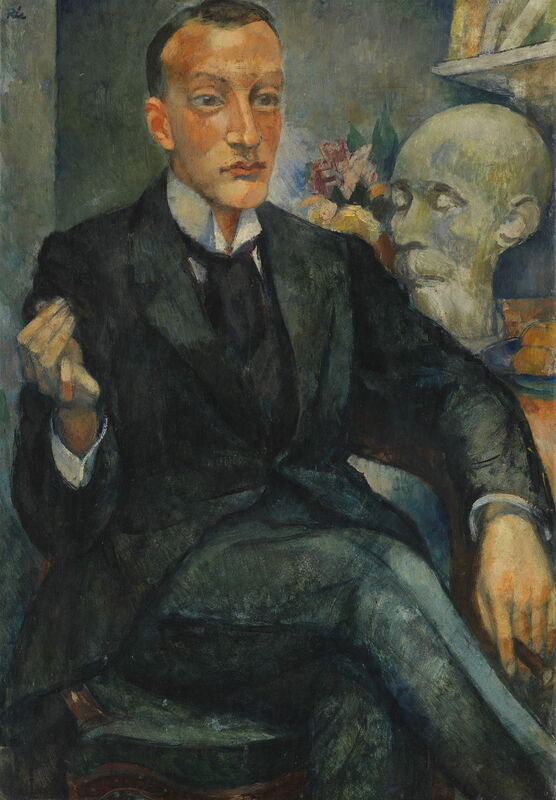 Anita Rée (1885–1933), Portrait of Albert Malte Wagner (c 1920), oil on cardboard, 100.5 x 69.5 cm, Private collection. Wikimedia Commons. Her Portrait of Albert Malte Wagner from about 1920 shows this distinguished literary historian, who lived from 1886-1962, and completed his doctorate at Hamburg University in 1919. Rée enhances his distinction with statuary and books. Wagner fled from Germany in 1934, to live in the UK. Anita Rée (1885–1933), Ravine at Pians (1921), oil on canvas, 80 x 61.5 cm, Hamburger Kunsthalle, Hamburg, Germany. Wikimedia Commons. In the early summer of 1921, Rée stayed in Grins, in the Austrian state of Tyrol. 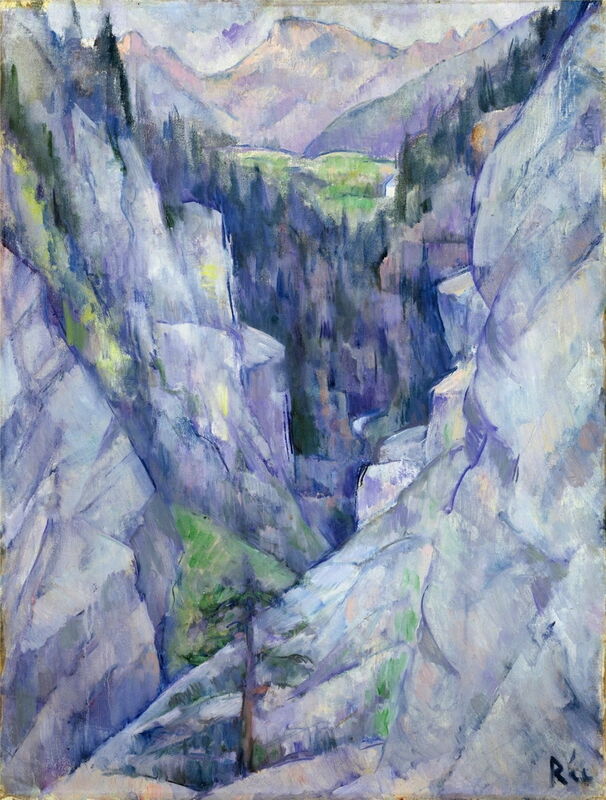 While she was there, she painted this Ravine at Pians (1921), a location to the west of the city of Landeck, in the far west of Austria. It shows clearly the influence of Cézanne’s late style, and of Cubism, and is among her finest landscapes. 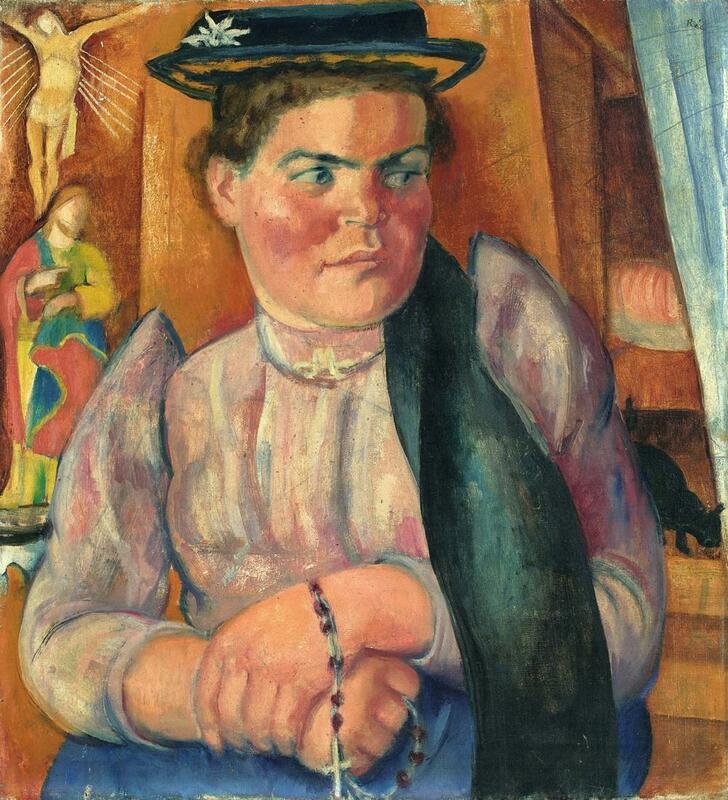 Anita Rée (1885–1933), Tyrolean Woman (1921), oil on canvas, 66 x 60 cm, location not known. Wikimedia Commons. Rée was not content just to paint landscapes, though, and made some wonderful portraits of local people, including this Tyrolean Woman (1921). She is surrounded by signs of her faith, and is working her way through her rosary as she poses. 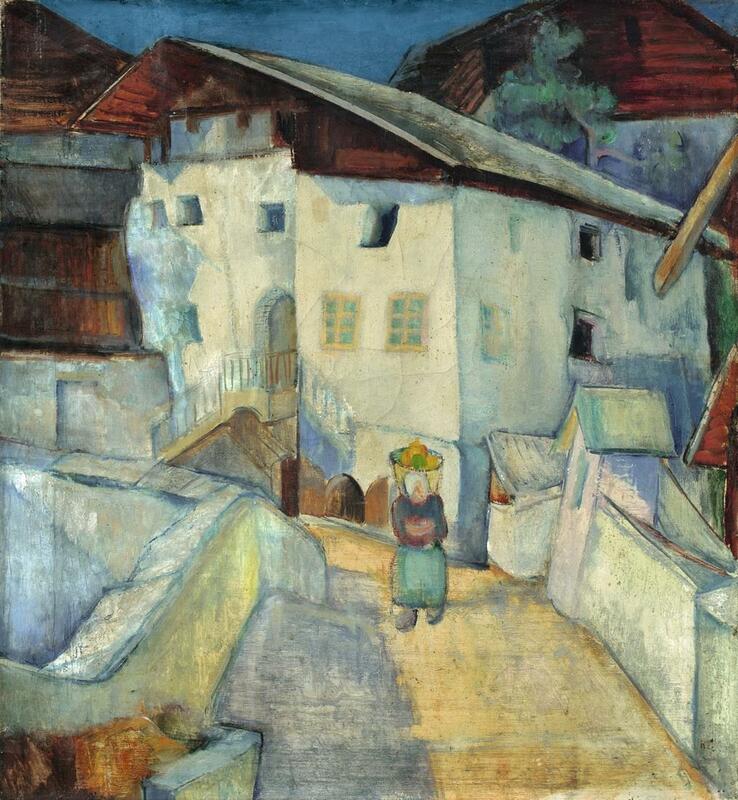 Anita Rée (1885–1933), House Made of Rock (1921), oil on canvas, 66.6 x 60.5 cm, location not known. Wikimedia Commons. She also painted several of the unusual local buildings, such as this House Made of Rock (1921), which again reflects her influence by Cézanne and Cubism. In August 1922, Rée left Hamburg for a three year stay in Positano, Italy. At the time, it was a small, poor fishing village squeezed onto steep slopes above the waters of the Amalfi Coast. 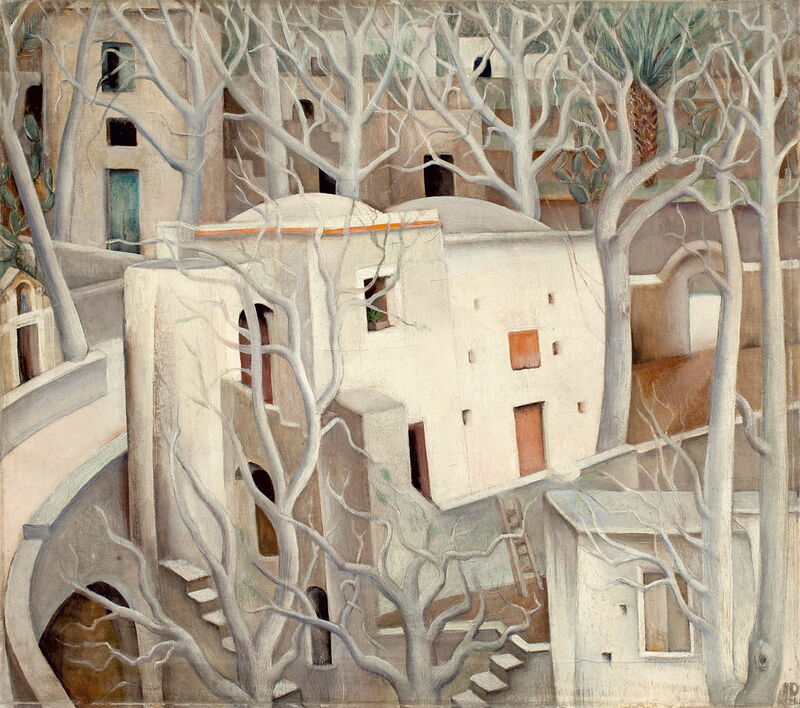 This brought about a change in her style, best shown in one of her major works, White Nut Trees (1922-25), which shows part of Positano. Rée was understandably shocked and angry when this was rejected by the Hamburg Secession when submitted for exhibition in 1927. 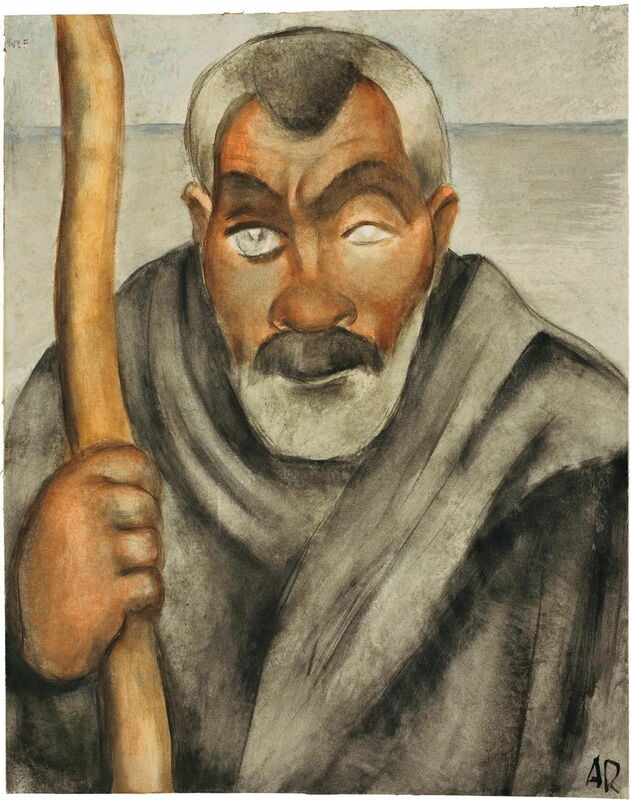 Anita Rée (1885–1933), Blind Beggar (second version) (1922-25), watercolour on paper mounted on cardboard, 63.8 x 50.5 cm, Private collection. Wikimedia Commons. Once again, she painted some wonderful portraits of local people, such as this second watercolour version of Blind Beggar (1922-25). Rée’s time in Positano allowed her to visit many of the important art centres in Italy, including Assisi, Florence and Ravenna, and the island of Sicily. Exhibition: Anita Rée. Retrospective is at Hamburger Kunsthalle, Hamburg, Germany, from 6 October 2017 to 4 February 2018. Details are here. Karin Schick (ed) (2017) Anita Rée, Retrospective, Prestel. ISBN 978 3 7913 5711 9. Highly recommended: a beautiful and very informative book to accompany the exhibition, with ample high-quality colour illustrations. Posted in General, Life, Painting and tagged Cézanne, Cubism, Germany, landscape, painting, Rée, Renoir, women in art. Bookmark the permalink.